"Life moves pretty fast. 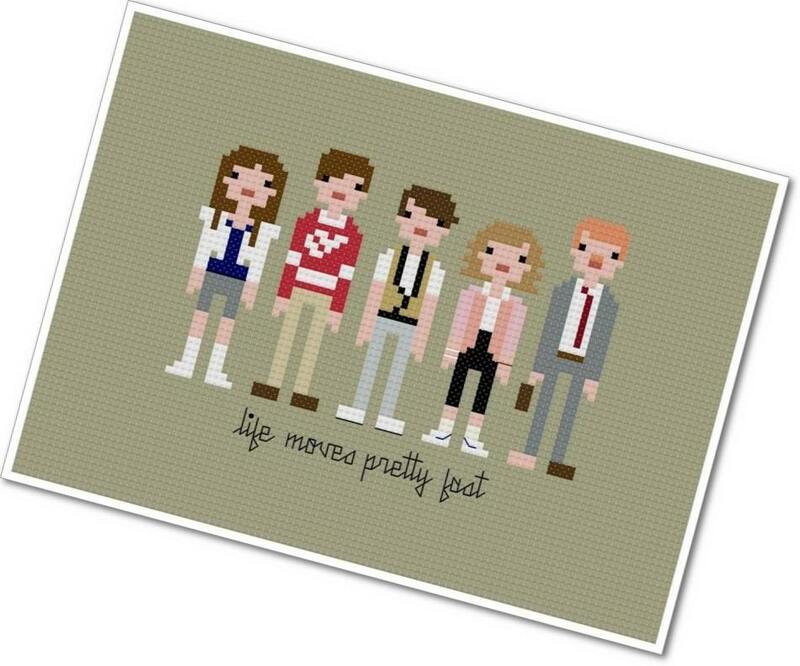 If you don't stop and look around once in a while, you could miss it..."
There are very few movies more quintessential or more defining of a generation than John Hughes' 'Ferris Bueller's Day Off'. 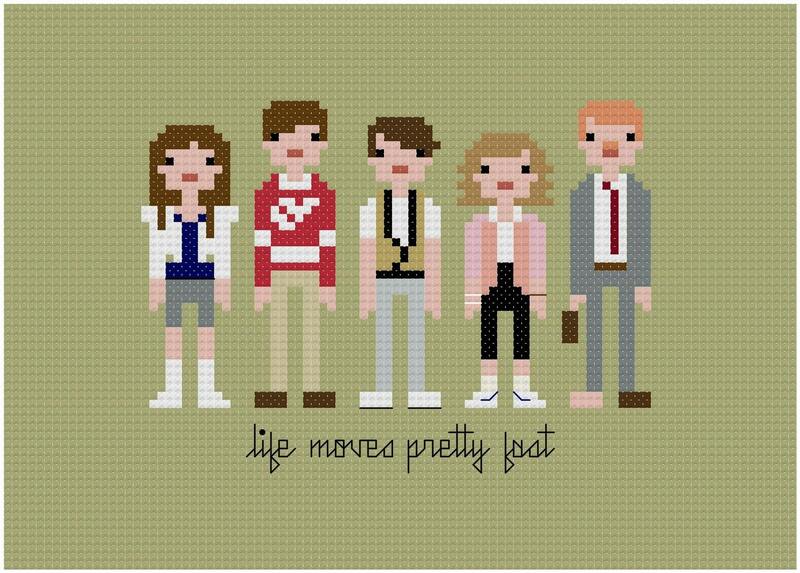 It's one of those films you can watch over and over and quote every line from and still enjoy with each viewing. 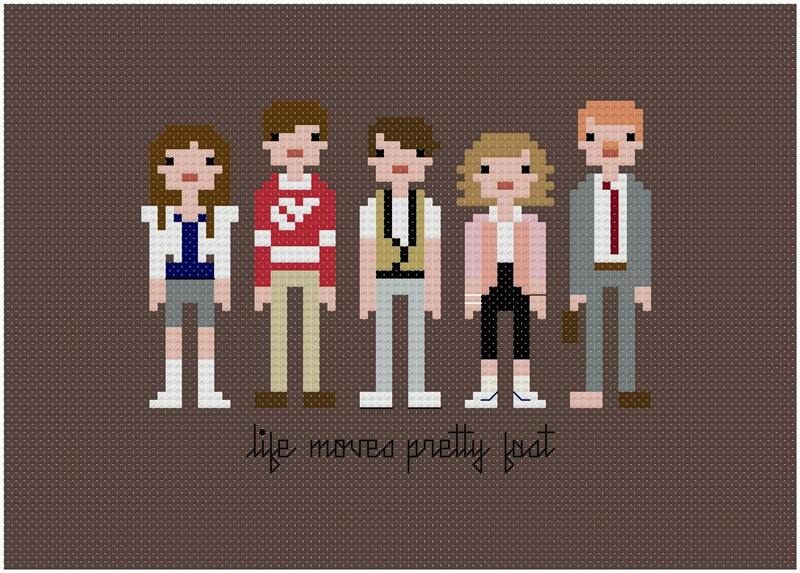 We absolutely couldn't resist adding this pattern to our John Hughes Pixel People Collection!